Oh my yes! Y’all these were amazing!!! And really they are not hard to make!! Look at these little lovelies! Aren’t they pretty! 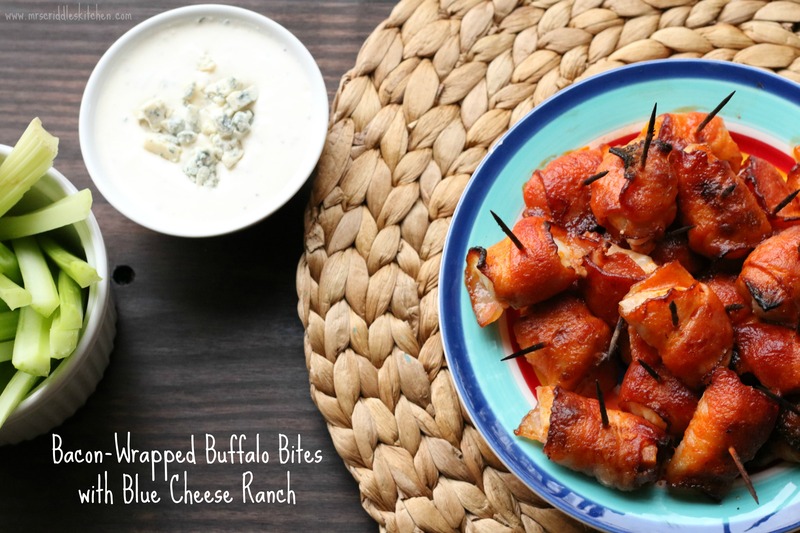 I made these for my husband as an alternative to the heavily battered and fried buffalo wings. You gotta admit anything with bacon in it is amazing! 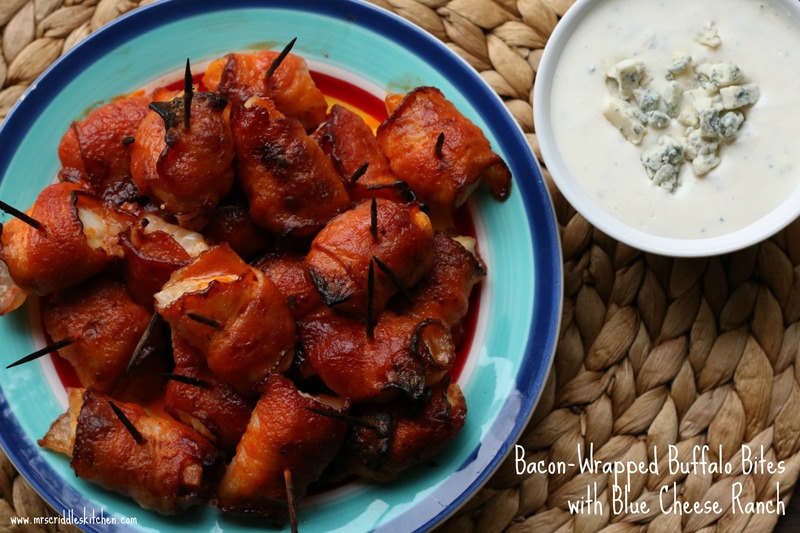 But bacon and buffalo sauce… drool! It’s funny… even my kiddos liked them! 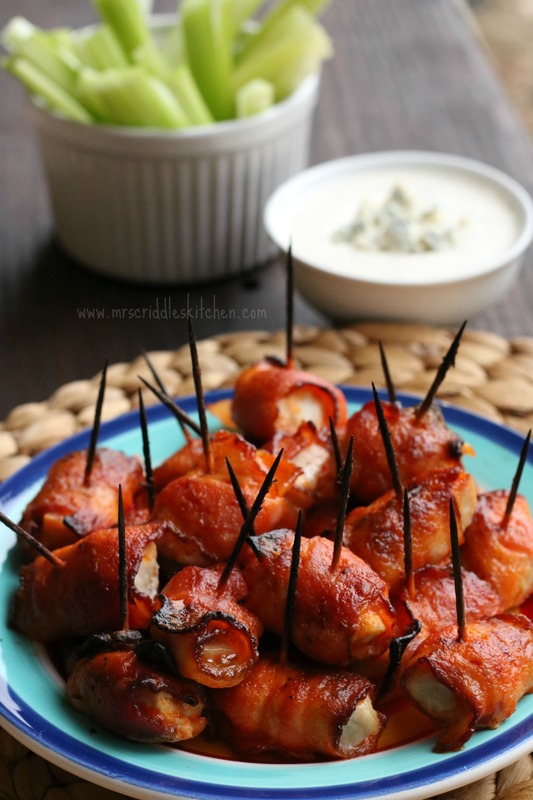 This is low carb and THM S. With very little ingredients, which I love. The hardest part is making sure you have toothpicks. Also, you want to use thinner bacon. 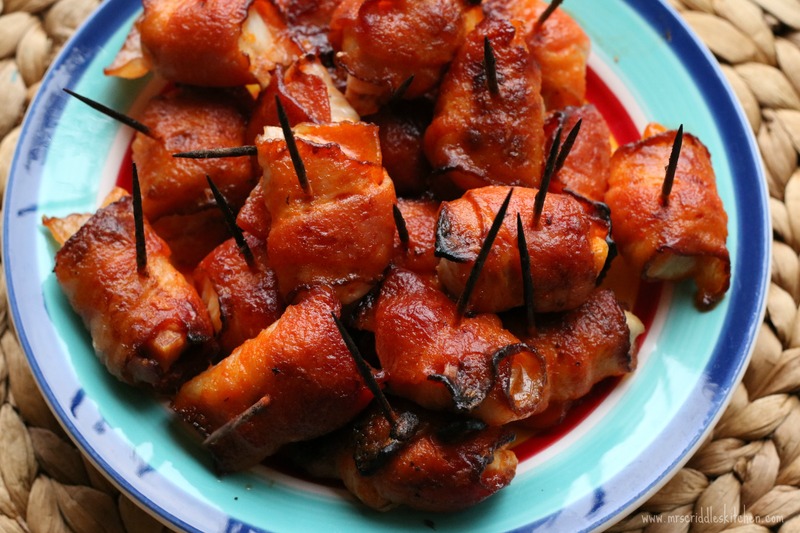 It makes it easier to wrap around bite sized bits of chicken. PREHEAT OVEN TO Broil- 425 degrees. Cut the breasts into bite sized pieces. Wrap with the thin sliced bacon and secure with a tooth pick. Place in the oven and broil for 10 minutes. Take out of the bites. Mix the buffalo sauce and melted butter together. Coat each of the bites with the sauce. Place back in the over and bake for 4 to 5 minutes. Take the bites out of the over and coat with the sauce again. Place back in the over for 1 to 2 more minutes or until the sauce has set. Mix up a batch of my homemade ranch and add the blue cheese crumbles to it.